General contractors have a wealth of responsibilities and they’re required to juggle them day in and day out. In fact, it is very easy for general contractors to find themselves overwhelmed with their duties. Nevertheless, Ontario is a good base for any general contractor. There are plenty of opportunities in this area and tons of clients that need your assistance. Before you go ahead and look for clients or try to find subcontractors, you should think about the risks that you face. Your company is not invulnerable to problems. Investing in general contractors liability insurance is highly recommended. Below, you’ll learn more and will figure out precisely why you need to be covered. So, what is contractors insurance all about? What will this specific type of policy cover? As the name suggests, contractors insurance is specifically designed to protect professionals. If you run any type of business in the Ontario, Canada area, you should definitely consider getting general liability insurance. The insurance will protect your company’s work. If it is later determined that your work caused injury or personal damage, this insurance will come into play. The insurance can help you solve the client’s problems, so your company isn’t bankrupted by civil litigation and a substantial settlement. There are many general contractors that have worked for many, many years without running into problems. This might make them feel like they’re never going to run into client disputes. This is probably a mistake and it could lead to even more severe problems in the future. It is risky to serve even a single client without having some type of protection. Would you drive an automobile without having automobile insurance? Not only would it be against the law, but you may even wind up going to jail for your actions. You should look at general liability insurance in the same manner. 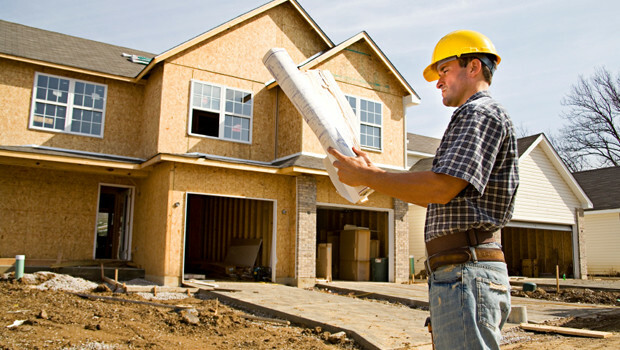 General contractors insurance is vital and should not be ignored. Before serving any client whatsoever, you should make sure that you have insurance for general contractors. Get the insurance today to ensure that your company is not exposed to unnecessary financial distress. One thing that all contractors want to avoid is a costly lawsuit. While it is nearly impossible to settle all claims brought by disgruntled customers, contractors can be prepared for such instances. With contractors liability insurance, you can rest assured that you are fully covered, if a disgruntled customers files a claim or lawsuit against you or your company. This insurance will pay for all or most of your litigation, court and witness fees. If you do have to pay out of pocket, the expense will be minimal as long as you have an active liability insurance policy in force. Just like any other type of insurance, general liability insurance has its limitations. Contractors have the option of setting limits for aggregated values of per each occurrence. Limitations are also set for fire damaged property and health care expenses for workers who are injured on the jobsite. General liability insurance does not cover prior acts or claims that arose from damage or injury before the initial policy period. However, if the claim is made after the policy period begins it will be covered. There are so exceptions for property damage to your work. For example, if you own a contractor homebuilding business that just recently built a new home with a garage. If the garage collapses, the policy may cover the vehicle, but may not cover the repairs to the garage. There is no doubt that your company is going to want to maximize its bottom line. Nevertheless, you should realize that your future matters more. You should not put your company at risk just to save a few bucks. With that being said, you should be willing to acquire general liability insurance for contractors no matter how much it costs. Also, you must remember that the price will depend on various factors, including your credit score, company history and the overall size of your company. There is also a good chance that your policy’s limit will impact the price. If you opt for a higher limit, you should expect to pay a higher premium and vice versa.